Nurses, do you want to work and live in the beautiful islands of Maldives? Their newest hospital which is expected to open this quarter is looking for over 200 nurses. 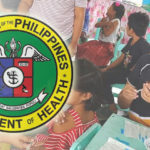 POEA-licensed Abba Personnel Services Inc. announces that there are nurse vacancies in various levels and areas in Maldives’ newest hospital, Tree Top Hospital. 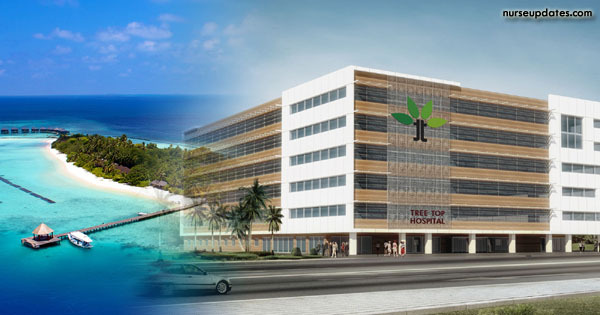 Tree Top Hospital Maldives is a 188-bed multidisciplinary tertiary care hospital with service standards comparable to that of prevalent Hospitals in the South Asia and South East Asia Region. 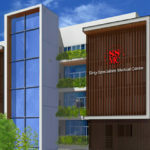 Among the services that will be provided by the Hospital include various medical disciplines including super specialty services and medical facilities including a state of the art laboratory and imaging center, dialysis center and a Health Screening Center targeted to provide services that will allow for diseases prevention and promote healthy lifestyle. · IELTS with 5.5 OBS is a big advantage. Applicants without IELTS should be willing to take. 1. 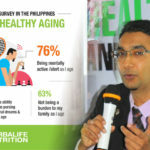 PRIORITY: Personally visit us at our Ortigas office together with hardcopies of your pertinent documents such as Updated CV, IELTS score, College Diploma, Transcript of Records with RLE, PRC ID photocopy front and back, PRC Board Certificate, PRC Board Rating, Certificates of Employment, reference letters and Passport photocopy; Walk-ins will be prioritized and fast-tracked! NO FEES TO BE COLLECTED. BEWARE OF ILLEGAL RECRUITERS. FOR MANPOWER POOLING ONLY. ABBA Personnel Services Inc. (POEA LICENSE NO. 159-LB-091615-RAOE) was given the “Award of Excellence” in the latest POEA Agency Awards in 2013, the most recognized overseas recruitment agency awards in the country. This Award was given due to the 3 consecutive instances Abba has received the “Top Performer Award” (2002, 2005, and 2009) which evaluates agencies not just on volume of deployments; but also compliance with recruitment laws and rules; responsiveness to workers’ welfare on site; technical and marketing capability; and welfare programs and allied services. If you have questions on this job opportunity or other inquiries, please contact Nissy Tolentino thru email abbamaldives@gmail.com or call 6335175 / 6370939 / 09178948780. 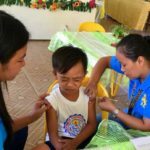 Please Like Nurse Updates in Facebook for more nursing job opportunities here and abroad. Do u take nursing Assistant? Sir, my nurse is Paul John,diploma male nurse,Kerala 2years experience in general ortho ward,9656531671,I want a job. 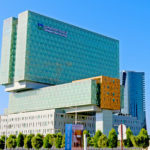 i would like to apply in this hospital, im currently working in jeddah, ksa as a staff nurse. looking forward to hear from you soon. im willing to process soon. if you give me a chance. Hi my name is raj malik and working as a medical lab technician with 11 yrs experience working in india .do u have any opening for me .Pl let me know. am so happy to work in this new hospital i graduated in Bsc Nursing in 2016 currently am working at national blood bank of Ethiopia if you have place for me contact me. There is any current vacancies? I am clear my IELTS with 5.5 band and 5 year of experience in ICU department. i m from mumbai with 2 years experience…and ielts with score of 6 bands..am i eligible for your job. Hello, I am a Nigerian and I have seven years working experience as a registered nurse. Can I apply for this job? 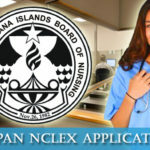 I am working as a staff nurse in oman..I would like to work in your hospital..I have 8 years experience in indira gandhi memorial hospital maldives..and also 11 years experience in minimstery of health oman..
I’m Molly Abrams from Guyana a Staff Nurse Midwife of 2 years 10 months experience and 8 years experience in the general ward of a tertiary hospital , with a BSN in Nursing . I’m kindly looking forward for an early response. good day mam, sir; i am registered nurse from philippine and currently working as general staff nurse in najran, ksa, i am interested to apply, thanks, hope to hear from you soon.